By Ben – Today marks the anniversary of the release last year, of the third album of the so far Beyond trilogy “Beyond, Love Within“. With Tina’s participation on a few songs, the result was once again excellent and haunting; Bringing back her gospel roots while mixing it with her buddhist faith, a challenge for Turner who add another feather in her cap in World Music thanks to the creativity of good friend Regula Curti and the work of Swiss music producer Roland Frei. Today, we focus once again on ‘Love Within’ but with a new and special upload! 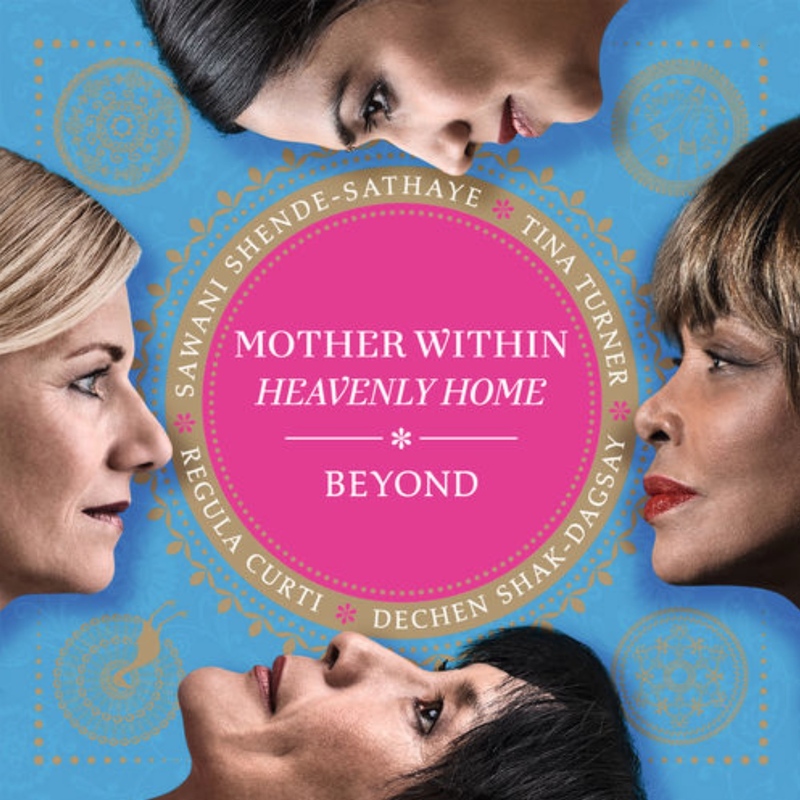 The “Heavenly Home” mix version of “Mother Within’ that was not included in the album. A shorter and bit more up-tempo version of the song to put it in a nutshell! And for the occasion and for all your delight, a new video for the song created by Ben! Enjoy! Glad you enjoyed it Gabriele! Thanks for your comment! Just Supra a beautiful song. Heaven is the last stage of our lives. Thanks for commenting Andre’ ! WOW!!! THAT GAVE ME GOOSBUMPS AND TEARS!! !LOVE THIS!!! Tina Turner will be a legend forever and ever! Well, this is proof that Tina Turner at age 75 still has it vocally. I still hear that Private Dancer (seasoned fine wine) era classic range in this performance. Many/most singers would like to have this type or range and power at half this age! Thanks for sharing. P.S. I liked the hairstyle she had in this video…similar to her true length and height in the early 1980s, before the now-classic, gorgeous “lion’s mane” look w/ the stylized hair piece/cap on the top of her head. If she does any movies in the future, this look (hair) might be a good one for her to have as whatever character she might play. Thanks for your comment Anthony. Glad you liked the video and song! Tina’s voice still does sounds awesome and she should be recording more! and it will come………….God will fill your need in this life.Believe! This is Not what we were taught when we were growing up. Find you way to God…”Truth”. to any road to Find the God within youself. Help others, do good, Love God,ect..
God’s “Love” is all there is. The TRY is all There is…The Try…Ask! Thanks for sharing your thoughts Betty. Fantastic video! Shows only but respect for Queen Tina Turner! Thanks and i love you Tina! Wish Tina Turner would come back to some pop rock but this is pretty awsome already. never expected i would hear something like that from her! Fantastic video! From a Beatuful Lady, Tina. I’m glad to see her looking so well. I’d’s there going to be another movie about Tina Turner’s life?